Installing floorboards in small areas: to float or not to float? Normally only pine boards turn orangy when applying a natural finish. Oak tends to turn honey colour, a typical characteristic of Oak. HardWaxOil does come in various colours and when choosing one it's always best to try the colour out (both coats) on a little left-over piece. Glad to be of service. Hope your floor will look grand in the end: a true asset in any home. This is very helpful information. Have just tried Danish oil on a left-over bit of oak engineeered board we've just had put down, but it has made the colour significantly darker. It is a very light oak and we want to keep it that way. We've heard that Osmo oil can make wood look orange. Any ideas ? The best way to test how your finished floor with a natural finish will look is to wet it. That'll be its new colour, but keep in mind that all woods mature over time, becoming darker. Pine tends to turn orangy, Oak more of a honey colour look. We normally use Blanchon HardWaxOil, thinner and a in our opinion more natural look than the thicker Osmo. Would it be OK to apply white coloured Blanchon HardWaxOil to an oak floor that has alraedy been treated with one coat of danish oil? The best way to find out is to test it on a small area (or left-over piece). It's always hard to tell when it is not clear how long ago the first coat has been applied and how the pigment of the white Blanchon reacts. You can order a small tester to see if it brings the result you're hoping for. Hi :) We have just bought a house and are wanting to sand and either lacquer or oil the flooring. I think that the wood is ash, but I'm not 100% certain. I'm just wondering whether the hardwaxoil is hard-wearing enough for areas such as the kitchen, where there will be a lot of foot traffic, and the possibility of spills etc? HardWaxOil is highly suitable for kitchens. There is normally more moist there and the oil in the HWO prevents any other moist coming into the wood, while it still allows the wood to breath. Another advantage of HWO over lacquer especially in kitchens: you don't walk in kitchens, you shuffle more. From cooker to fridge, from fridge to work top, from cupboard to work top etc. This "abrasive" movement can wear out the finish. Combined with the moisture amount in kitchens, once the lacquer layer is worn of by shuffling the wood is unprotected and moist will be pressed into the wood, colouring it dark. When a HWO is applied, the oil as said before protects the wood more and the wax will prevent damage from the normal abrasive movements more than a lacquer - which lays on top of the wood as a thin film. Also, HWO floors can be repaired locally - for instance the area where you work most, cooker or work top - without ending up with a patchy floor. Lacquered floors repaired locally will result in patchy floor, where new lacquer overlaps old lacquer. I had Osmo HWO applied to a floor I had fitted a year ago in my kitchen, lounge and halls and must say that it is completely unsuitable for a house with average traffic. If you want a floor you dont have to constantly attend to and maintain to achieve a half decent finish this isn't for you. I am getting all my Oak engineered board sanded and coated with a low maintenance Lacquer. Sorry to hear about your experience. On the other hand, every wood floor, no matter what type of finish is applied, needs regular maintenance. Polish to keep both the wood and the finish itself healthy. For areas with average traffic as well as heavier traffic. Regular maintenance, with the suitable product, ONLY needs to be done on average every 5 - 6 months: low maintenance. Hi there, I had an oak floor fitted by yourselfs about 5 years ago now but it has turned very orange. How can I restore it to its previous colour? Followed advice from your good selves which has not been flawed so far. Sanding pine boards finishing with 100 grit. Applied Blanchon coloured HWO as per instructions just finished last night. Only to find that between the sanding process and the oiling process our cat had walked on the bare pine with wet feet. These paw prints were not visible until the HWO was applied but now we have some well defined paw prints in numerous places. They feel slightly raised to the touch. My question is will they fade over time or should I resort to the wire wool treatment? It's always the same with these nice creatures: they hide away right up to the moment you absolutely do not want them on your floor! (Happened to us right after applying a coloured oil once and we learned it is absolutely not recommendable to try to chase the cat of a wet floor!). It is best to lightly sand the effected areas, careful you do not put too much pressure on it to avoid "closing-up" of the grain. Then apply the second coat of HardWaxOil - after vacuum cleaning of course - according the instructions. The paw prints - thanks for your picture - might slightly shine through in the beginning, that will fade over time and you can "speed" this up by applying a wax polish after the HardWaxOil is fully cured = 2 weeks. You could have a look here, at the colour chart of the HardWaxOil colours we have available. As with every little sample (online or on paper) it shows the colour on one little strip of wood, where in every floor every board has its own character. You could order a tester first (0.25 ltr) to try it out? We are about to sand our pine floor for the third time (due to building work being carried out etc)we have never been happy with the result after varnishing so we thought we would use Osmo Hardwax Oil this time, but after reading comments on your site we are now wondering about trying Blanchon HWO.We want a matt finish and to avoid it looking yellow/orange.What probuct do you suggest and what colour? Thank you for your question. On pine floors we indeed recommend to apply Golden Oak HardWaxOil to prevent the pine turning orange - as it often does when applying a natural finish. Another advantage of using HWO is you can, if needed, repair it locally where with a varnish or lacquer you often have to resand the whole floor. Having taken up a bedroom carpet,I have just discovered a very old oak floor. The original building dates from late 1500s but I suspect the 11 x 1" boards are rather more recent. I'm just about to hire a belt sander. Can you give me any advice on treating this floor after sanding? Thank you for your enquiry. Can I redirect you first to one of our guides: "7 easy steps to repair/restore your original (parquet) floor"
If you need further advice or tips just let me know. I am going to have oak engineered board layed in my hallway. It is a high traffic area, which will bring in, no doubt, small stones which will scratch the wood. As the front door opens direct to the outside elements eg rain, first place for people to enter with wet coats, shoes etc. I will be placing a mat at the entrance to try to reduce this problem but it will not completely eliminate the problem. I want to be able to look at my wooden floor and not have it covered by mats. I also want a product that will keep the wood as close as possible to its natural original colour and makeup (not shinny or glossy) and to be maintenance free as much as possible. I don’t want to have the expense of having to have it re-sanded once it has been layed. What do you suggest? Best thing to do is opt for an oiled wood-engineered floor, lay indeed a proper entrance mat behind the door too. As for maintenance free, any floor covering needs maintenance once in a while, but the beauty with an oiled floor is: for every little bit of TLC you bestow on it the floor will reward you by becoming more beautiful. Regular maintenance (once every 4 - 5 months) will keep its wear and tear layer (which protects the floor against dirt and drips) healthy. We have an original 1840's pine floor (very wide boards) which was varnished in the 1970's and now looks awful...peeling varnish in high traffic areas, not patina just impoverished. Plus we have 2 medium sized dogs and as a result lots of running & claw scratches. We would like to remove old varnish (light sanding only to preserve character of boards) but don't know what is best to re-surface given that the dogs are staying! I wonder if wax is best - will it make dogs skid and dig in claws? can any light scuffing etc be lessened with routine maintenance re-surfacing? Or is varnish best, and how many coats? What products are best for each possible choice? Thank you for your question. In my opinion it would be better to remove (sand) off the existing varnish finish and apply either two coats of Saicos Premium HardWaxOil Natural - which could turn the pine boards slightly orange over time, characteristic of pine, not of the HWO ;-) - or one coat of Saicos Colour Wax Oak, followed by one coat of Premium HardWaxOil, to give the pine a warm appearance without turning orange. In our opinion oiled floors give out the character of the wood much better than varnish, plus is easier to repair - no sanding needed - if your dogs scratch the boards. The oil is a none slippery surface anyway. Hi, we are about to install a reclaimed ash floor in our living room and bedrooms, and would like an advice about oil and wax. We want a matt finish, low maintenance, and the wood as white as possible (not white staining, but as it is naturally). Thanks for helping. Brings out the natural colour of the wood, protects against dirt and drips and easy to maintain. Hi,we have applied one coat of Osmo clear oil to our pine floorboards but they now are too orangey. Could we apply a darker stain on top or do we have to sand again? What would you suggest? It is quite common when you apply a clear finish to pine boards these boards turn organcy - a characteristic of this wood-species (where Oak turns honey-colour). You could sand it lightly and apply a coat of colour. Normally the first coat should be colour, which would stain the boards darker. Applying a colour over a natural coat might give it not such a dark colour as when done the right way round, but at least it will disguise the orange look. I've recently sanded my pine floorboards back to bare wood and want to finish with Blanchon HWO. The pine is not antique, I would imagine it is quite new (less than 30 years old), and I want to get a darker, older look, staying well away from the yellow/orange-ness associated with pine. I am considering the Blanchon Walnut colour HWO. Could you advise if this is a suitable colour to use on a pine floor? Walnut can turn it rather dark I must say. We normally recommend to use Blanchon's Golden Oak on pine boards, given it an authentic and warm colour without getting too dark or turning orange over time. Thanks Karin, that's very helpful. I was wondering whether the Walnut colour might be too dark. My other choice was Smoked Oak - is this similar to the Golden Oak? Smoked Oak is a very difficult colour to apply and could stain just the grain - not the whole board - resulting in a patchy result. It works great on Oak boards, pine however reacts quite differently to these darker colours, Golden Oak being an exception to be honest. Sorry to ask yet another question! Will the Walnut colour give a similar patchy look or does the pine take it in quite well? I'm going to get a sample pot to see whether it's too dark for my liking (plus Golden Oak), but I won't bother with the Walnut at all if it will come out patchy. Many thanks, your advice is very helpful! The problem with all dark colours (and also some of the very light ones) is that they contain rather lot of solid pigment. Applying this in a factory is hardly ever a problem, doing it manually with DIY tools is always tricky and often results in a patchy appearance. Although colour choice is down to personal preference, only if you have a decent and heavy enough "buffing machine" to spread out the HWO directly after applying it, I would not recommend the Walnut for you. What you can do is apply two coats of Golden Oak to intensify the colour. Some people prefer just a hint of colour on pine to prevent it going orange and they tend to apply the Golden Oak only as first coat, followed by a second coat of the natural HWO. 1. How to finish the floors - We've tried a Blanchon Natural Lacquer and Blanchon HardWax Oil in Golden Oak (per your recommendations above). I have photos if you'd like to see the difference. Unfortunately neither is exactly what we're looking for - the natural lacquer is too light and the Golden Oak is a bit too dark for our taste. Can you recommend something in the middle that might work and also downplay the 'orange-y' nature of the pine? What about Light Oak or Weathered Wood colours? 2. How to deal with difference in colour of the replacement boards - The replacement boards look quite different to the old boards, even though they are reclaimed. How do we try to match these better? Do we need to ask our builders to try to source some boards that are closer in colour (I appreciate how difficult this would be) or is there a way to use stains to get the boards to match better? Appreciate any recommendations you might have. As for the difference between new boards and old: you could try experimenting with one coat colour on existing boards, followed by one coat natural and two coats colour on the new boards. I will be sanding my pine flooring down and was looking to get a darker look - something like a dark oak variety. I was thinking of applying a stain first and then HWO, however, i've seen coloured HWO and was wondering whether that would give me the same result - can you advise? Also, can I achieve a high shine look with HWO or should I consider Varnish? We had engineered oak rustic oiled floor installed approx 8 months. When it was laid it has a very slight sheen on it and in places of high traffic it looks slightly dull not a lot but not as it was. Colour is fine. Is there an oil we can apply to maintain without the need to sand the floor ? IMHO your floor needs a bit of TLC in the form of a maintenance polish. Oil is only ever needed if you sand down the floor. Did the floor supplier or installer not leave you with a maintenance leaflet or care instructions? See our special page on suitable maintenance products. We just bought a house that had carperts over the origin pine wooden floors. We have pulled the carperts up and we need to get the glue off and then sand. We not sure if we must vanish or oil the floor once this is done? What would you suggest would be the best for the wood and also look the best? Some rooms I thought I'd go translucent white and wondered what best attack might be. There are varnishes, acrylic stains (reccommended by another forum as a base coat then followed by hwo white), wax-oils, and liming techniques. The rooms are bedrooms. I want grain to show and to stave off the orange effect. I take on advice for use of blanchon golden or rustic oak for other floors. I wonder what is main difference between saico and Blanchon ? ?do you send instruction for application and maintenance methods/materials. Difficult question to answer to be honest, we're more into Oak floors and all the colour charts are based on samples of Oak, not pine. The colour Wax Classic (more a thin oil than a wax) White transparent could work, applying one or two coats, followed by Saicos Premium HardWaxOil in a sheen of your choice. The main differences between Saicos and Blanchon is the products used to produce the HardWaxOils (Saicos has fewer Linseed oil than Blanchon, so the - Oak - boards take a while longer to turn their natural honey colour shade), the price and the usages. 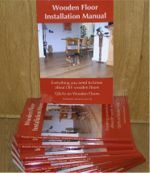 With every order of finishing products we included the instructions of use and also always add our maintenance leaflet. Hi we're looking to get engineered rustic oak flooring laid in our downstairs area (living/dining/kitchen area). We are a small family so traffic won't be significant. I've been recommended oil as opposed to matt lacquered finish as it's easier to deal with scratches and spillages. From reading your comments above I think you'll tell me to go with an oil finish however I don't want the floor to be shiny. Will the oil make it shiny / non-matt?